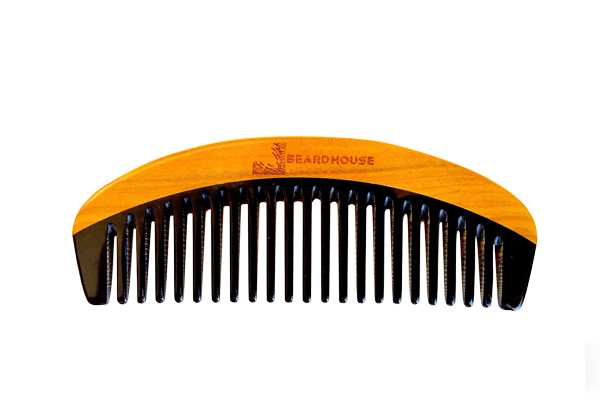 BEARD HOUSE beard combs are made from high quality 100% natural materials. This beard comb is hand carved from Sandalwood & Buffalo Horn. The smooth teeth create no static, it carefully parts tangled hair & evenly distributes natural oils to better nourish, condition & protect every strand of hair. Use this comb with your favourite beard oil or balm to give your beard the care & healthy shine it deserves. Available in 2 colours and 3 different designs to suit different types of hair.